We learn a lot in our universities but a lot of the stuff it out of date. Mission, vision, strategy blabla, the 4 P’s of Porter, the business plan, the SWOT analysis and even management itself. It’s all need a serious upgrade. Here are 9 things I would do and use if I had to start again today. 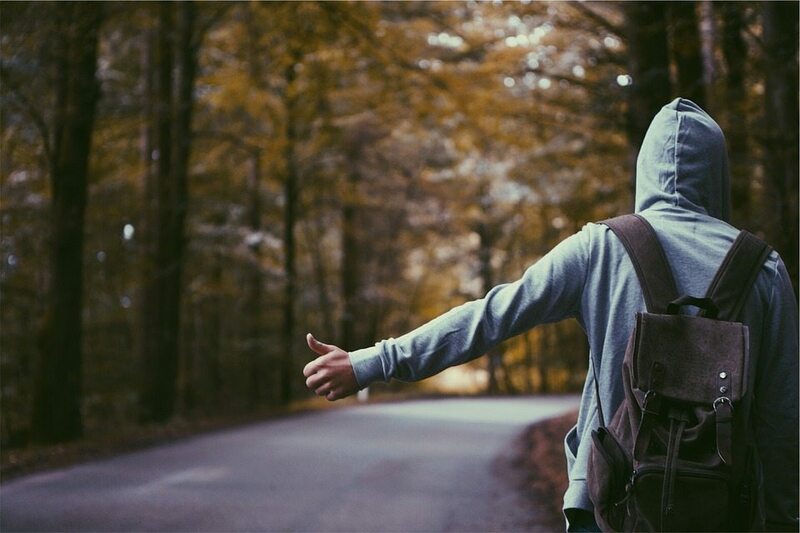 The entrepreneurial journey is not a train ride, it’s like hitchhiking. You know where you want to end up when you start your journey, and the people you meet along the way will help you get there, but you might end up somewhere else because of them and that’s ok.
We used to keep business ideas to ourselves, now you share them with everybody. The idea becomes better and execution becomes better. And for a business, only execution counts. (see Derek Sivers -> https://sivers.org/multiply). We used to do boring stuff like Mission and vision, but today we start with the Purpose of an organization; it’s dream. The golden circle of Simon Sinek will help you out here. Mind you, the golden circle is NOT a marketing tool. It’s and internal compass to do the right what. People find your business because of the what, experience the how when they come in contact with the company and those are derived from your Why (or your purpose). If you’re lucky they fall in love with your company because of the why. A good Why starts with “I believe” or “We believe”. It’s the vision of the founders of the leadership team on how they are going to impact society with their company. 4- Never write a business plan. It is forbidden! Don’t write a business plan. It is forbidden. A business plan never survives any contact with reality. Instead, fill in the Business Model Canvas. Next experiment with different versions of the canvas and how it will impact your business. YEAH! has made a nice online tool which you can use. Next, validate your Business Model Canvas by getting out of the building. Steve Blank is your guru here. The book “The lean startup” is also very useful at this stage. And look up the “mom test”. 6- Don’t do a financial paragraph. Don’t do a financial paragraph. Liquidity, funding, operating budget etc, will be “reken je rijk/ (calculate yourself rich is the literal translation here)” models at this stage of your company. Get your facts/data straight and grow from there. A good business case fits on a beer coaster. You can throw it in a spreadsheet later and enrich it with actual data to get a true feel for the business potential. Now that you have a feel for the right Business Model Canvas and you have your basics metrics build the Minimal Viable Product. It’s the absolute minimum version of your product that lets you test your Business Model & metrics. For Tony Hsieh -co-founder of Zappos, the biggest online shoe retailer in America- it was a very simple website where you could find photos and descriptions of shoes. He took the photos at local retailers. His distribution was him buying the shoes at that retailer and shipping them himself. No fancy shop or anything. He just needed to validate if people buy shoes online. Dropbox made just a video. a 3-minute screencast published on Hacker news. The screencast was enough to give the early adopters a hint of the product experience. And enough to get many smart people to give them “the same feedback as if putting a product in their hand”. The later version of the video had the waiting list (of emails) jump from 5000 to whopping 75000 in one single day. The Buffer MVP was just a landing page “Buffer does X, do you want it? Click here!”. The next page displayed 3 versions of the product with different features. After you selected a plan they told you they were “building the product” and that you could sign up for the Beta. They validated what people wanted and what they were willing to pay before ever writing a single piece of code. Marketing used to be the 4P’s of Porter. Now is the SAVE model. But in their studies, they already refer to the Masters of Two and the most successful companies today are masters of two. Steven Van Belleghem has a very insightful video about this. If you have a proper SAVE model don’t do traditional marketing. Start doing measured validated learning. Improve 1% every day. And find out what works before you scale things up. The AARRR framework (or the pirate metrics) will help you out when running experiments. A: Acquisition – where / what channels do users come from? A: Activation – what % have a “happy” initial experience? R: Retention – do they come back & re-visit over time? R: Referral – do they like it enough to tell their friends? R: Revenue – can you monetize any of this behavior? Dave McClure is the source if you want to learn more. With a SAVE vision, an AARRR measuring framework in place and a list of triaged experiments over the 5 attention areas of the framework, improving your marketing 1% each day becomes a lot easier. The last thing you need to do is not manage your company. For that, you need a system once you hit ± 15 people. Use a nonmanagement way of organizing this and work like grownups. We have written a nice little (Dutch) bestseller about this which you can download for free on Voys.nl/boek. The difference between a manager and a leader is managers get involved without being asked. Leaders are asked to get involved. And leaders don’t make decisions. They enable other to do so thus creating new leaders. p.s. I forgot one. Stop doing the SWOT analysis and switch to Strengths, Weaknesses, and Trends. It will bring you more (read this Verne Harnish blogpost). I feel it also helps existing business battle the innovator’s dilemma, and saves them from becoming Nokia or Kodak. “Scaling Up” is the book to read and you will find a nice template for an SWT here. This is the summary of a few guest lecture I gave at the University of Groningen (RUG) for their entrepreneurial programs.